The market started out this week selling off quickly after re-opening at 8:30 AM, and traders had a chance to look at global events, weather and coffee. Given the collapse, perhaps they had three cups of coffee or have finally realized that this tariff situation to “make trade great again” is going to take a lot longer to resolve than first thought. China so far has not shown that their back is up against the wall, at least in the soybean venue and pork for that matter which are sectors we are concern of as producers. Perhaps there is merit in pressuring China on all fronts as their economy and associated debt reflect that it isn’t all well in China and the Trump Administration knows it. However, now their leaders have an excuse to blame the United States for their problems and the Chinese population apparently has his back. With a leader now with the ability to be a life-long leader, it is the long term that China is looking forward to. As an economist told me 20 years ago in a conference at the then Sparks Companies, Inc. (now Informa) they (China) have been around for thousands of years, and the U.S. merely 300 years. They have seen countries like ours come and go! I’ve remembered that statement ever sense and hardly a month goes by that I don’t recall it. There is not much more to say that I haven’t said repeatedly for weeks in this column. By now you have gotten tired reading of the potential demise of the soybean market given the lack of being pro-active by the market advisories that felt China was in a corner and will have to come back to the U.S. Perhaps the word “eventually” should have been used? If intellectual property rights are a key sticking point, we may be planting another crop before all this is resolved. There is a distinct possibility that we have entered a new “cold tariff-war” that lingers for perhaps years? Let’s hope not, but the complexity of the problems with more and more tariffs imposed, the problem of getting all items resolved is getting worse. Given the egos of the leadership involved and the fact that the Chinese need to save face in any solution, the problem may be greater than we see on the surface. In addition, I have not seen any evidence that those responsible in trade for our Ag well-being have much of a clue of what it means to have long term 20-year debt obligations nor do politicians in general. The Secretary of Ag recently said that it is much too early to determine the details of what will be done to support agriculture as negotiations continue, and it is “hoped” a settlement can be made. 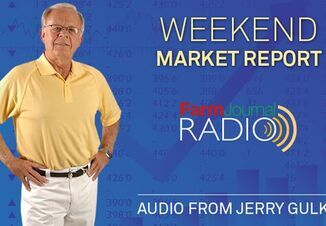 Looming ahead is the important June 29 acres/stocks report this week and weather that could influence prices. If your analyst didn’t or refused to see the demise of soybeans coming or the changes in the structure that threaten our free-market, it is never too late to change, time was and still is of essence! The report on Friday may hold some surprises. For corn there is the acreage situation that could rise 750,000 acres as some suspect. Gulke Group saw a drop in corn acres already back in December and much higher soybean acreage than NASS saw. But remember NASS has trouble getting farmers, especially large farmers, to reply to acreage surveys. So, if they assumed what the traditional corn-on-corn large farmer did in the past and what he likely would continue to do, they may have overstated corn acres even yet and missed the effect of shrinking working capital on acreage. If so, the report on Friday may just kick the can down the road to the October report where farmers will have reported and sworn to be truthful of actual plantings. If so, in the mean time we will be held hostage to market psychology, tariffs and confused analysts. If you find yourself lacking in marketing or fell prey to recent false psychology or are confused and disgusted, and need help marketing just go to go to info@gulkegroup.com to contact us or phone 480-285-4745 or 707-365-0601. Gulke Group watches a lot of things that affect the prices of things we grow or raise and I have a lot of charts this week as there is a LOT going on and you don’t hear/see it much on the web and for sure not in “chat rooms.” Given all the positive rhetoric on corn demand globally, the Chinese having to buy beans from the U.S., and generally good economy, take a look at corn, soybeans, spring wheat (I still have major interest in ND), cotton as well as CAT, John Deere, Lennar (LEN-housing) and the Brazilian Currency (real). Remember the lower the price of the Real the cheaper Brazil’s soybeans are that can mitigate the tight basis in their soybeans currently. There is a lot going on!!!!! The technical minded will recognize the massive bear flag in corn and then the pause off last week’s lows, and then even daily key reversals down in corn and soybeans (which may mean an exhaustion phase). In addition, a bear flag was formed in Mpls HRSW as well. Deere is at some very long-term support with CAT at new lows for 2018. As I write this the NASDAQ is down 200 (huge) and DJIA down 450. There is nothing like pressure from farmers, bankers and the financial community and indices to wake up politicians. Read more from Jerry Gulke by visiting www.AgWeb.com/Gulke.